This kit contains the three skeins pictured. You have two skeins of Sock Merino (75% Superwash Merino/25% Nylon, 425m/100g) and one skein of Sparkle Merino (75% Superwash Merino, 20% Nylon and 5% Stellina Sparkle, 400m/100g). 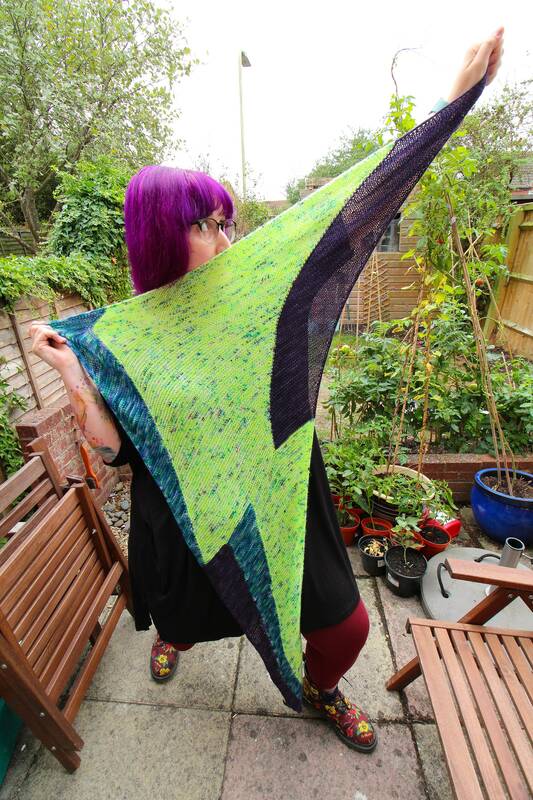 This also comes with a paper copy of Sue Stratford's Voltage Shawl pattern. The idea is that your sparkle skein can be the main colour for the lightning bolt (see example picture) and the two non-sparkle are your contrast colours. 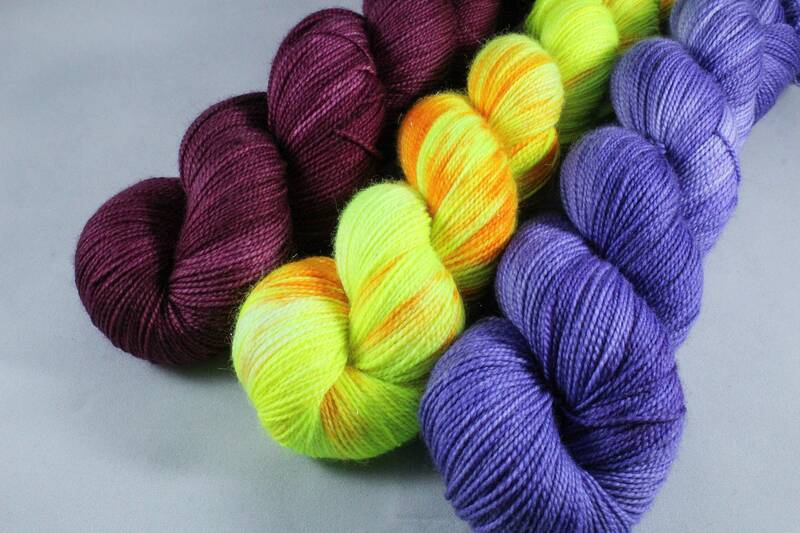 All yarns included in the kit are superwash but keep it cool to preserve the dyes.